Every time we go into the dentist it seems a lecture happens about how you should floss your teeth more. That makes sense when you consider a survey by National Health and Nutrition Examination that finds 30% of people floss daily, 37% do so sometimes and 32% say they never floss. 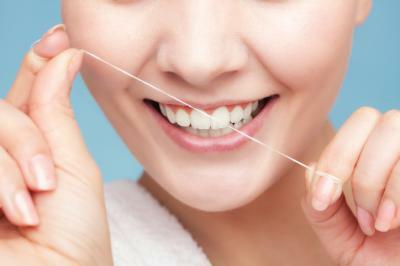 The American Dental Association meanwhile, says those who floss daily are probably actually closer to only about 10%. This makes you want to grab some floss and run to the bathroom, or then again, maybe it doesn't. Now that you know a bit more about what your employees are doing on their own time, we consider what they want from your community bank in the way of benefits. Research shows that job seekers today care about receiving more from their employer than just a salary. They want to work for a company that also takes care of their health and their well-being. Given a tight labor market these days, community banks may want to consider this when recruiting. Consider for instance, the emphasis today's workers place on health care. According to a recent study by the Employee Benefit Research Institute (EBRI), 87% say employer-based health insurance is extremely important or very important and 72% agree this is true for dental and vision benefits too. Taking a fresh look at health care benefits is one task to do annually perhaps. Notably, the EBRI study also shows companies have significant room to improve when it comes to health care benefits. About 33% of workers say they are only somewhat satisfied with their employer benefits, while another 20% report not being satisfied. Certainly, community banks that offer a rich array of employee benefits could have a considerable advantage when it comes to recruiting high-quality staff. Retirement benefits are another important, yet often overlooked, way to attract and retain top-notch workers. It's well known that many workers today are sorely behind in their retirement-saving efforts. There are several ways employers can help the situation, without spending a lot of money in the process. Banks might consider auto-enrolling all new eligible workers in the bank's 401(k) program. Auto enrollment is a very important feature so that employees don't have to think about signing up. Here research suggests that participation rates are significantly higher when employees are signed up automatically. "Re-enrollment" is another good option to engage and pull in existing employees who aren't participating in the plan. Setting a higher default rate for your 401(k) plan is another way to help workers boost their retirement savings. Most of the time, employees tend to accept a plan's default rate, which is typically set around 3%. Morningstar suggests boosting it to more than 15%. By setting a plan's default rate higher, companies encourage workers to save more from the get go. Of course, the employee would have the option to change this at any time, based on their financial goals. Auto-escalation is yet another strategy to help employees save. This feature ticks employee contribution rates up slowly, say 1% per year, until a cap is reached. Many employers make this an opt-in feature, but a growing number of companies are making it automatic upon enrollment in a plan, Fidelity data shows. Workers can also really benefit from workplace plans that offer advice about retirement savings. According to Morningstar, 90% of participants who used an in-plan advice solution boosted their savings rates by about 2% on average. As you are thinking about your employee benefits for the upcoming year, it is a good time to review your current offerings and see where improvements can be made. To compete for the best and brightest talent, community banks need to set the bar high in terms of the benefits offered. When carefully considered and thoughtfully executed, the payout to your bank can far outweigh the cost of providing more robust benefits - just like flossing can prevent the cost of future dental work. Yields up 2bp as the market continued to absorb this week's comments from the European Central Bank. Research by Marsh & McLennan on cyber risks finds 25% of companies do not treat cyber risks as significant corporate risks and 77% do not assess customers or suppliers for such risk. A Deloitte survey of senior corporate leaders worldwide finds almost 41% say they have seen at least some increase in their level of dependence on third parties in the past year. Just over 10% said the increase had been significant. Fed Governor Powell said the normalization of the federal funds rate to 3% still has several years to run. Fed Governor Powell said the current $4.5T Fed balance sheet should be gradually reduced to its pre-crisis level of about $2.2T starting at the end of this year. An RMA survey finds 20% of respondents said their planning process for the current expected credit loss (CECL) rule was completed, 66% said it is underway and 13% said they had not yet started. A survey by Phoenix Synergistics finds 51% of people want to visit a branch when dealing with a lost or stolen card vs. 11% who feel comfortable doing so using mobile. An RMA survey of banks focused on data quality finds close to 60% say their system infrastructure is not adequate to meet risk management demands.